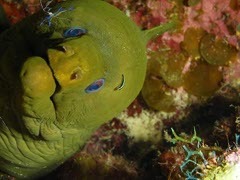 Got a group of dive buddies ready to travel to the Caymans? 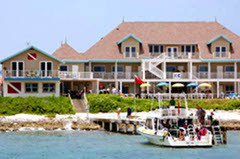 Great deal on Cayman Brac, 7 nights beachfront room, 17 boat dives, all gourmet meals (breakfast, lunch, dinner), and airport ground transfers. 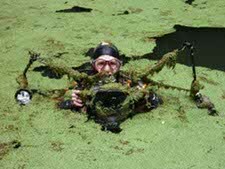 We have great flights direct to Cayman Brac from Miami on Cayman Airways and no bag fees for that dive gear! This pricing is for groups of 10 or more. Upgrades to junior suites available. Contact us for availability. 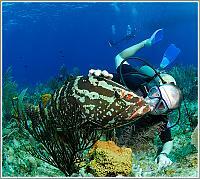 And yes, you can pet the grouper.... This package is valid for travel through December 18, 2013. Book early!